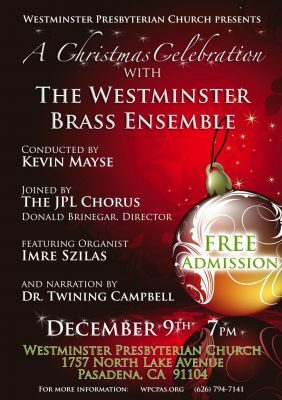 On Sunday evening, December 9th at 7:00 we welcome The Westminster Brass and Percussion under the direction of Kevin Mayse. 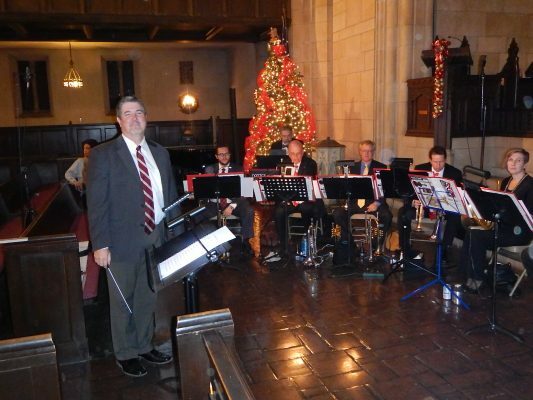 In addition to the Westminster Brass is the JPL Choir, conducted by Don Brinegar. Adding holiday selections from the Westminster pipe organ, is our own Dr. Imre Szilas. The evening is one of happiness and joy as we Sing-along with carols and enjoy old and new music of Christmas. All gifts and donations to benefit Westminster Center – as it offers counseling throughout Pasadena and the surrounding areas on a sliding scale.